Everyone had a mother at one point. Some, like me, are very lucky–I still have my mother, and she is a great one. But lots of people still need mothers. Either they have lost them to death or estrangement, or their mothers just weren’t good mothers, or they are temporarily out of range, or, like in my case, they just need a few extra to get the job done. And not all adult women have children. Some don’t want them, and that’s okay. Others of us become unconventional mothers. About a decade ago, I was sitting alone in my pew at church on Mother’s Day. That really isn’t as pathetic as it sounds. My parents go to a different church than I do, and I usually go to their early service with them on Mother’s Day and then hop on over to my church. I usually sit alone at my church, technically, meaning that I sit on the same pew with the same people who are not related to me by blood or marriage or any other formal relationship. I’m not really a lonely person; I’m okay with having my space. If you know anything about me at all, you know that I have never borne a child, so this kid was not my son. He was from our youth group, and his mother had died. But that day, he adopted me. He sat with me for the next several Mother’s Days and for a lot of other Sundays when he was in high school. I have a wonderful mother, but a few years ago I had to accept that I would probably never have children of my own. I’m not saying that I can’t or even that I won’t—I have friends who have proven that God has a lovely sense of humor sometimes, and that a woman can have a brand new baby and a daughter in college. I’m just saying that I probably won’t, and that God has given me peace about that. But he has also given me wonderful perspective over the years. My own mother has a wonderful story. She was adopted into a family that could have no children, from a family that couldn’t seem to stop having babies. 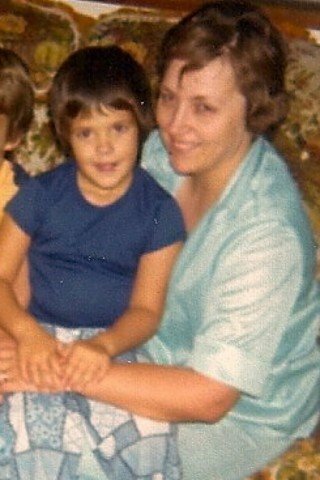 The only Nan I knew on her side told her that her biological mother loved her so much that she gave her up to someone who could take good care of her. She knew that both her mothers loved her. Maybe that’s why I never had trouble taking on other mothers of my own. My favorite mothers were the ones who had a house full of boys. A couple of my best friends growing up were from households with four boys. I always loved their mothers, probably because they were always so happy to see a girl around. In college I had mothers (who were far too young to be my mother) who kept me clean, fed, and sane. Teri opened her home, her kitchen, and her laundry room for me every Sunday. Margaret kept me together during the summers when I came home and needed a mentor. Both women are still in my life today, and I’m still grateful for them. Is that all that makes a mother, though? Obviously not. Yes, in my “childless” state, I find myself up to my eyeballs in kids. Every day. This is one of the weeks I feel like I’ve particularly earned my mother stripes—maybe I didn’t give birth to these sweet teenagers, but in the spring the drama runs so high that it takes several grown adults to subdue it. I’m praying for the end of school like a drowning woman. The single moms who are raising children without any help from the fathers, or who have to divide time with their children with another parent. The mothers who are raising their childrens’ children, because sometimes life deals some pretty tough cards. The mom who waited for her child to be born, overseas, and then waited until she could bring him home from an orphanage. The moms who are still waiting to be moms, either biologically or through adoption. 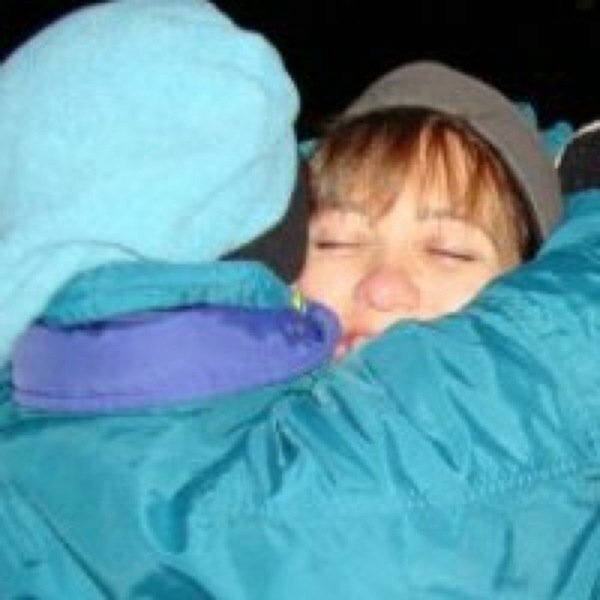 The mom who just lost her only child in a car accident, or to illness, or other tragedy. The “mom” who is also dad—he works all day, shops, cooks, cleans, feeds the kids, folds the laundry, helps with homework, and tucks everyone in at night, alone. The mothers who are praying that the curse of the generations will not repeat in their own homes, that they won’t be ravaged by divorce, addiction, or abuse. The mothers who did their best and are still waiting to see how it turns out. And the handful of mothers who managed to raise children with a father in the home, and know that it was only by the grace of a perfect Father. So don’t feel bad for me. I didn’t spend today with my children because this was a day for them to spend with their biological mothers. I spend a lot of other days with the children that I share with other mothers—graduations, birthdays, concerts, proms. I’m one of the very, very lucky ones. Today, whether you read this on Mother’s Day or Arbor Day, whether you had the worst mother in the world or the best one, it is a day to celebrate the very best of paying it forward. Love a child the way he should be loved, even if it’s just for a season. Even if it just means sharing a pew for one day with a motherless boy. Quit making me cry on my “special shout out” Extra Kids Day. I love you B more than you will ever know.